Major! 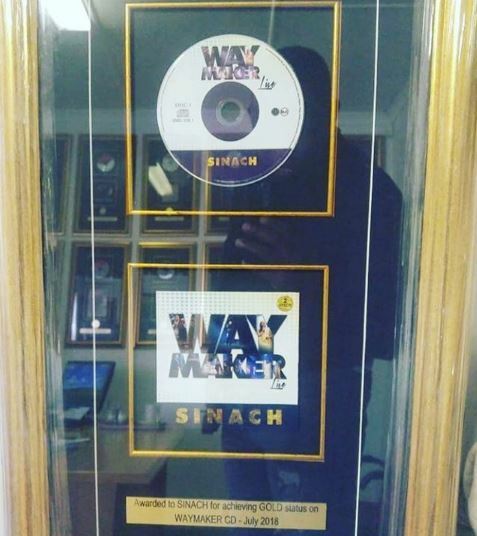 "Way Maker (Live)" Album By Sinach Goes Gold! The Recording Industry Association of America (RIAA) has declared that Gospel music icon, the multiple award winning Sinach‘s album “Way Maker (Live)” has gone gold! This means that the album released November 21, 2016 has crossed the 500, 000 record sales mark. ‘Way Maker (LIVE)‘ – a follow-up to her 2014’s ‘The Name Of Jesus’ Album, is available on iTunes, Amazon and other major digital stores. In March of 2018, Sinach hit 50,000,000 views on Youtube on the lead single with the same title as the album. This put her in the ranking of major entertainment artistes with large following on Youtube, such as Davido, Wizkid and more. As of the time of this report, the video is at 77million views on Youtube.